No brainer offers are so simple to see the value that we are compelled to buy them. It’s in our DNA. It’s fundamental to being human and underlies much success in life. It’s about ROI whether in monetary or non monetary terms or both. The other truth is everybody is selling even if they try to disguise that in numerous ways I am ultimately selling, too. So what? If I deliver no brainer offers and value, why shouldn’t I? And why shouldn’t you? There seems to be selling correctness today. Build your list to a certain size and only then sell them. But if you have something that’s a no brainer offer, then sell that to people now. If you don’t sell stuff at a good margin and enough of it, you won’t have a successful business over time unless you have lots of money or staying power. Even so, why wait? When I started in business, I tried to tell myself that I was a poet, a writer, shy, above selling. I hated the idea of selling and being rejected. On the other hand, my father loved selling. He was a master salesman. But I didn’t want to be anything like him. My father was extremely abusive verbally and sometimes physically. He’d laugh and taunt me about liking poetry and literature and reading my poetry and short stories out loud to my mother. We had one thing in common. Baseball. 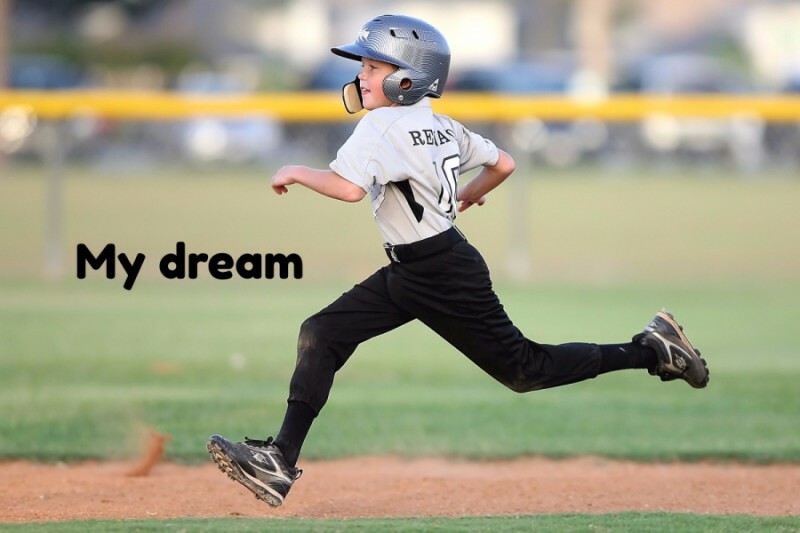 If I wasn’t dreaming how to escape from him in the land of stories and verse, then I’d be spending every waking hour thinking about being a professional baseball player. It was my other escape. One day I was reading in the Sporting News and there was an advertisement about the new Mickey Owen Baseball School opening in Miller, Missouri. Mickey Owen had dropped the third strike in the 1941 World Series with Tommy Henrich at bat which lead to the Dodgers losing to the Yankees. When I read the ad I had just turned 13 years old and lived on Long Island, in what is called the Five Towns. My Dad’s favorite word was no. Volatile, his extremely violent temper could erupt over things that threatened his ego or his view of the world. I became attuned to the mood in my house like a hunter in the jungle. Sometimes, he would be extremely funny and sing or make clucking noises when he made a big sale. Money was his measurement. Nothing else mattered. He’d laugh at how he got the buyer to purchase low priced baby booties and then up sell him as he poured drinks and chatted with the buyer about his family. My father had begun importing baby’s knitwear from Japan after my grandfather and he went bankrupt in their US based baby knitwear company. The labor unions had gotten a law passed barring women from knitting baby wear in their homes. “Dad,” I stammered (I often mumbled). He stared at me as a lesser being. “I want to go to Mickey Owen Baseball School. It’s like a training camp.” I pointed to the ad in the Sporting News. He gazed at me with a kind of caught-off-guard look. He eyes slightly moistened. “You won’t have to pay anything.” I blurted out. At that point, I didn’t know how I was going to get to Mickey Owen Baseball School or pay for it. I thought about it for days. The deadline to sign up was approaching. The pit of my stomach flip flopped. “Hello” the voice sounded kind and large. “What are you proposing son?”, he asked. I went to Mickey Owen Baseball on a Greyhound bus. I earned extra money doing more chores around my house. I came up with two no-brainer offers. My father and Mickey Owen both got something they valued so highly from me. Plus, I threw into my offer that my father didn’t have to deal with me over the summer. My mother wanted him to send me to a camp. That meant money out of his pocket. Mickey Owen did not tell me I’d get up at 5 am in the morning to build fences in the Ozarks infested with copperhead snakes, scorpions spiders, mosquitoes and other scary creatures. The lesson I learned was to get ahead I had to create and sell no brainer offers. I had to interact with people like my father and find ways to give them what they wanted first. Today, you read so much about not selling and creating goodwill trust and value overtime through writing blogs and other content. There is nothing wrong with that. This is an approach that works but often it is way oversold. As a result, people are inundated with tons of content that no one has the time to read or even wants to read. Instead, Amazon, Facebook, Google, Apple, Instagram, Microsoft, Starbucks, McDonald’s and numerous other companies succeed by delivering no brainer offers. They let content complement what they are selling. But if they have something of great value, then they sell it now. In sum, it comes down to selling the right no brainer offer to the right person-my father and Mickey Owen-at the right time. Most businesses fail because they do not start with determining whether they have a true no brainer offer. They write lots of content and do all the me-too stuff. But they are afraid to test and keep testing whether they can deliver consistent no brainer offers. They listen to the experts and the next marketing advertising and sales gimmick when the real answer to their business success starts with no brainer offer where they can make a profit today or in the near future so they can generate positive cash flow. Step back and ask yourself are you delivering true no brainer offers?